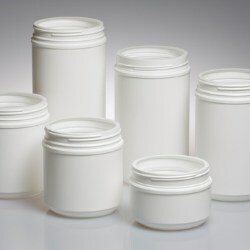 For high-quality honey packaging that will certainly be eye catching on the shelf, Alpha is a solid supplier choice. 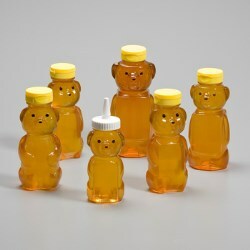 The company's wonderful range of PET honey bears perfectly fits the bill for quirky packaging that will also satisfy consumers in terms of quality. Alpha Packaging is pleased to announce that Terry Moody has joined the company as Chief Executive Officer. Alpha, a portfolio company of Irving Place Capital, is a leading blow molder of bottles and jars for rapidly growing consumer markets, including the nutrition, pharmaceutical, personal care and niche food and beverage categories. Stressing speed & flexibility, St. Louis-based PET and HDPE bottle maker sees purchase of Etten-Leur facility as platform for broader European growth. 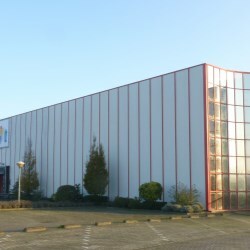 Alpha Packaging Inc. announced today that it has acquired a plant in Etten-Leur, the Netherlands, from Graham Packaging Company. 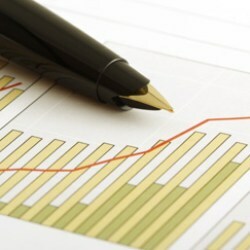 The transaction – for which terms were not disclosed – was completed on November 2nd. 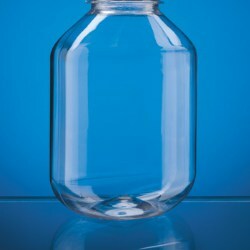 Alpha Packaging releases a new line of opaque plastics jars, combined with child-resistant closures, that meets the requirements for child-resistant packaging for cannabis-containing products. Alpha Packaging is now offering its most popular stock items from its West Coast stocking facility with new, lower minimum order quantities. 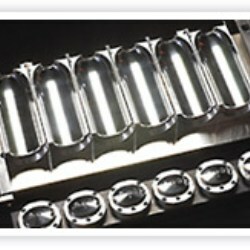 Over 8 million units across 180 different SKUs are currently available for immediate shipment across the United States. A minimum order of $500 per order is required, but different items can be combined to meet that minimum. The items stocked in California are Alpha's best-selling sizes and colors in various markets. 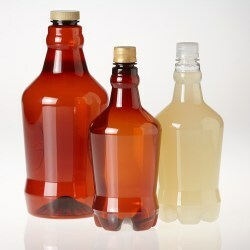 Alpha Packaging has just introduced two sizes of PET plastic Growlers for the craft beer industry. The 32-ounce and 64-ounce plastic Growlers are a great option for off-premise draught beer sales, as a substitute for traditional glass vessels. They allow consumers to take fresh draught beer directly from the tap to places that glass is not allowed, including beaches, parks and other outdoor venues. Alpha Packaging has just qualified six new injection blow molded high density polyethylene (HDPE) packers as part of its new HDPE Pharma Line. 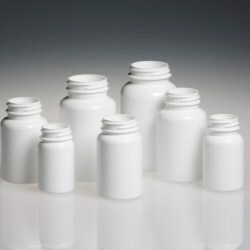 When completed later this fall, Alpha’s Pharma Line will consist of more than a dozen injection blow molded and extrusion blow molded bottles that replicate the HDPE round bottles most prevalent in the pharmaceutical industry. Alpha Packaging has announced the acquisition of Vanga Products (Plastics) Inc. of Surrey, British Columbia, Canada, to expand Alpha’s blow moulding capacity in the Pacific Northwest. Alpha Packaging has introduced three new polyethylene terephthalate (PET) indented label large round packers ideal for bulk quantities of protein powders and nutritional supplements. Alpha’s 3785cc (1-gallon) and 6250cc packers are new sizes that are both larger than the PET packers previously available from Alpha; the new 1500cc packer is a lightweight version of a size Alpha already made. With six sizes now available, Alpha offers the most complete line of large PET packers in the industry. 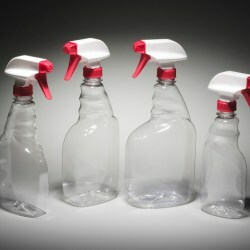 To make it easier than ever for customers to buy its most popular styles of PET sprayer bottles, Alpha Packaging has reduced the minimum orders for three sizes of Tremont Sprayers made in Alpha’s Cleveland manufacturing facility. 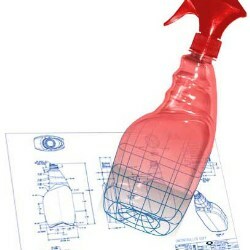 Now, customers can order as few as four pallets of three different Tremont sprayer bottles when they tag onto another order for clear bottles. In order to make it easy for customers to get samples of three of Alpha’s most popular stock condiment bottles, Alpha Packaging has created a condiment bottle sample pack that can be ordered with just one click of the mouse. 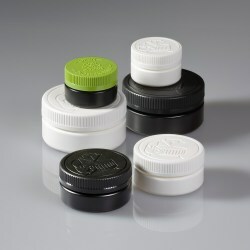 The condiment bottle sample pack includes a 9oz Aspen Oblong, a 9oz Clark Oblong, and a 12oz Clark Oblong. 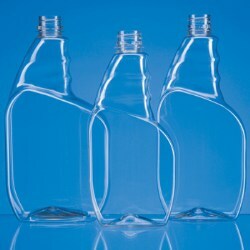 All three bottles feature a 38-400 neck finish and are made from a 23.8-gram preform. 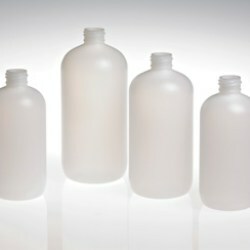 Alpha Packaging, a leading manufacturer of plastic bottles and jars for the personal care, pharmaceutical and nutritional supplement industries, has added a third new line of squeezable high-density polyethylene (HDPE) bottles for the beauty industry. Alpha’s new Personal Care Boston Rounds are commonly used for shampoos and hair care products, body lotions and other liquids and gels. Alpha Packaging (“Alpha”) recently announced that it has acquired Progressive Plastics, Inc. (“Progressive”) of Cleveland, Ohio, in its largest acquisition to date. Progressive is a manufacturer and decorator of plastic bottles and containers primarily for the personal care, auto care, housewares and food markets. Irving Place Capital, a middle-market private equity firm, announced today that it has signed a purchase agreement to acquire Alpha Packaging, a leading blow molder of plastic bottles and jars for the nutraceutical, pharmaceutical and personal care markets. 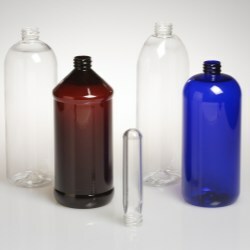 Alpha Packaging, a leading manufacturer of plastic bottles and jars for the personal care, pharmaceutical and nutritional supplement industries, has expanded its line of Cosmo Rounds made from high-density polyethylene (HDPE). 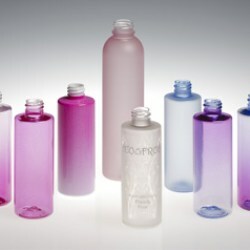 Alpha’s HDPE Cosmo line now offers four sizes of these popular bullet-style bottles. Technigraph Corporation, a division of Alpha Packaging, has just introduced its environmentally friendly Eco-FrostTM Spray Frost for plastic and glass. The high-end look of the proprietary Spray Frost provides customers with an additional “green” packaging option, because unlike conventional spray frosts, it contains no VOCs or solvents. 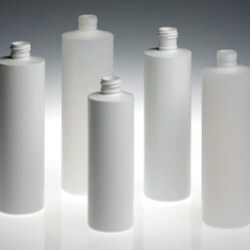 Alpha Packaging, a leading manufacturer of plastic bottles and jars for the personal care, pharmaceutical and nutritional supplement industries, has introduced a new line of personal care Cylinders made from high-density polyethylene (HDPE). The HDPE Cylinder line is the first of three new narrow-neck stock packaging lines that Alpha is rolling out during the second quarter of 2010 - along with a special offer for free deco tooling. 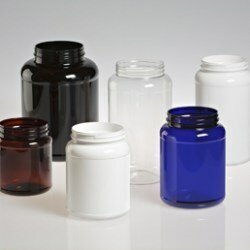 Alpha Packaging, a leading manufacturer of plastic bottles and jars for the personal care, pharmaceutical and nutritional supplement industries, has recently introduced a new line of canisters ranging in size from 32 ounces to 100 ounces. Each size canister will be available in three different 120mm neck finishes. 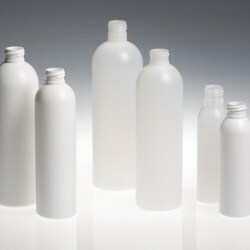 Alpha Packaging, a leading manufacturer of plastic bottles and jars for the personal care, pharmaceutical and nutritional supplement industries, has recently introduced four 32-ounce narrow-neck bottles that are made using a 2-stage blow-moulding process.